Qualsys's supplier compliance management software provides you with all the controls you need to treat external providers as an extension of your business. Deliver unshakeable governance, risk and compliance controls, understand supply chain risks, and extend quality best practice to your suppliers. Some well known businesses have suffered spectacular damage to their finances because of failures in their supply chain. Reputations have been shattered by weak supplier-related practices. Taking control of your supply chain starts with understanding who your suppliers are, how you use them, and the level of risk they pose to your organisation. Maintain a reliable, up-to-date, and comprehensive view of supplier information, spend, performance, and risk with our supplier management module. Reducing risk and preventing leakage by ensuring supplier qualification and ongoing monitoring of performance is an integral part of your buying processes. The module can integrate with the rest of your business processes. This means you can associate and integrate the management of issues, training records, documentation and risk in one powerful system. 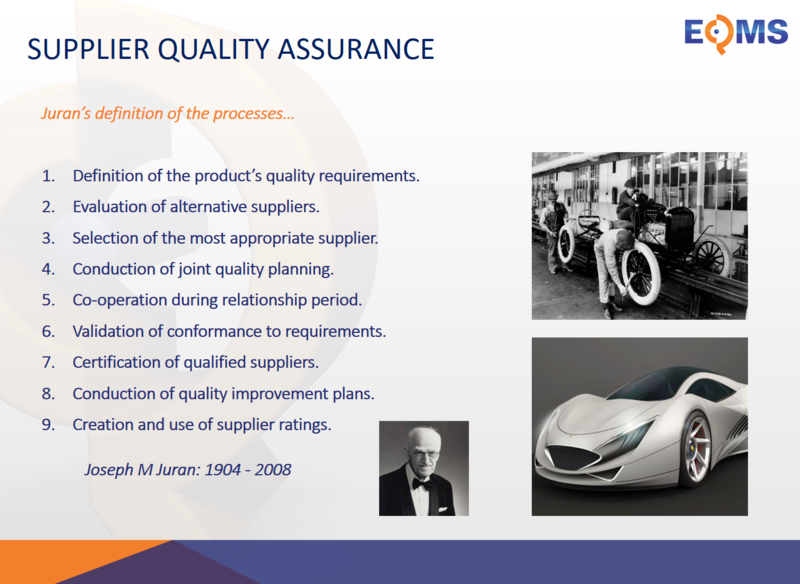 Extend your internal quality management standards and processes to your suppliers. 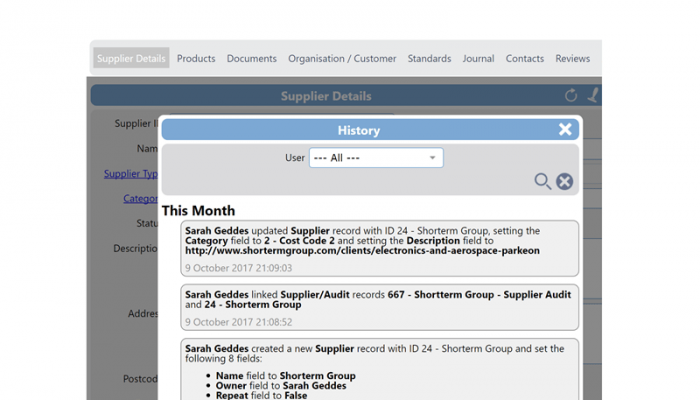 Supplier portals enable you to manage documentation, issues, risks and actions through a custom to-do list for each of your suppliers. It’s the perfect solution for organisations with many suppliers who need to keep on track of supplier activity. Go beyond mere details and products. Every interaction with the supplier is recorded, including compliance documentation, reviews and a journal of notes. 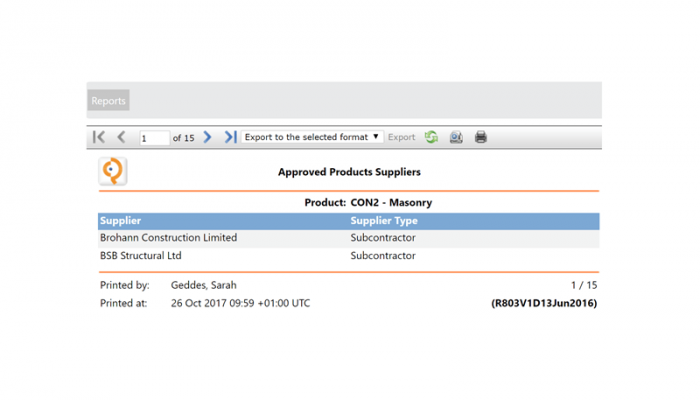 Configurable remediation workflows, time tracking and push notifications enable you to ensure suppliers and your team know their responsibilities. 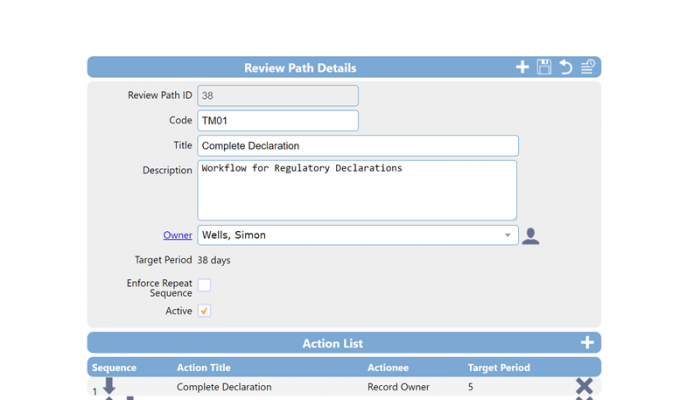 Ensure service level agreements, targets and documentation are shared with your suppliers. A range of reporting options makes it easy to understand your relationship with a supplier and whether you need to act. Manage your relationships with suppliers, including onboarding and on-time-in-full deliveries. All data is provided in real time so you can see a supplier performance report instantly. With your quality management software, I receive an audit report at the end of the day once quality engineers can get back onto wi-fi. The data is available, clear and correct. And we have a rather large audit, which the software copes with no problems at all. I was surprised about that! 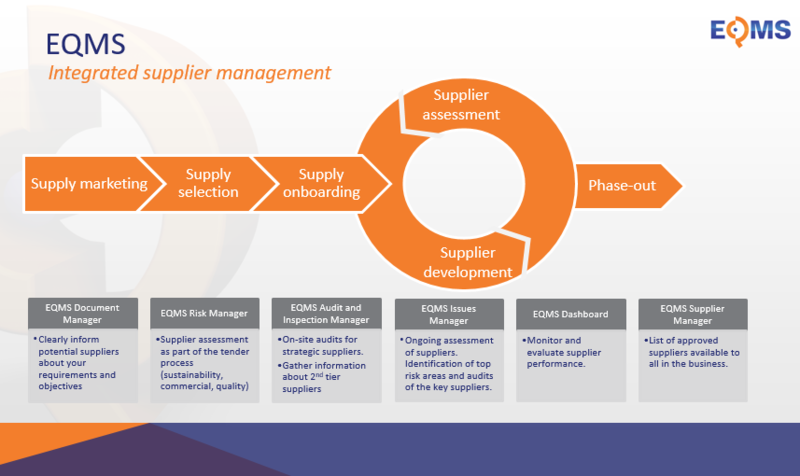 The supplier management module provides a best practice system for managing how your supply chain is reviewed and assessed. The system instantly generates dashboards that enable you to identify issues, risks and opportunities. The system simplifies how supplier data is captured, making the information you collect more consistent and accurate. This helps you make better buying decisions and ensure your suppliers are fully compliant. Meet the most rigorous regulatory requirements by providing evidence that your processes for onboarding and monitoring suppliers are effective. Our mission is to make quality and compliance natural and invisible. This is why we offer you free end users. This means any authorised user in your business can instantly log in and access your list of approved suppliers and their related information, including full contact details, warranties, service level agreements and performance data. 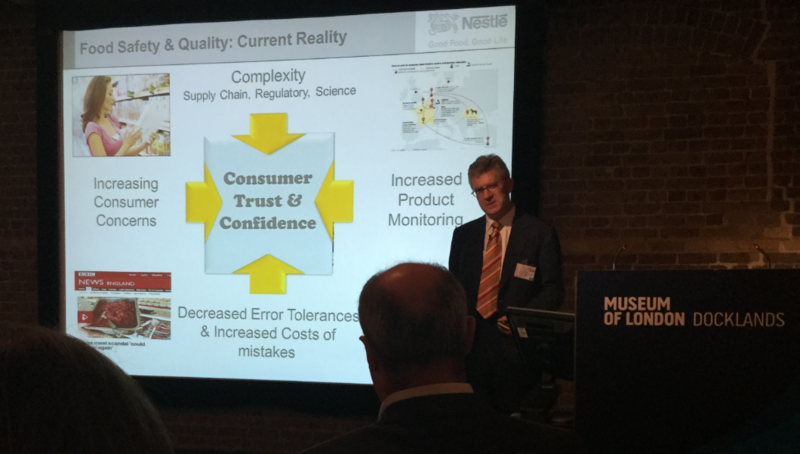 Robert Oakley, Commercial Director at Qualsys explains the key changes in the ISO 9001:2015 standard in relation to supplier management. Robert focuses on clause 8.4: ‘control of externally provided processes, products and service’. Our software has a range of powerful functionalities. The supplier manager datasheet outlines the key features and how you can apply these features in your business. The core modules are mature and feature-rich, they enable us to streamline our processes and document management requirements. The apps save us many hours of manual effort each time we use them. There is also a healthy pipeline of new features and enhancements. 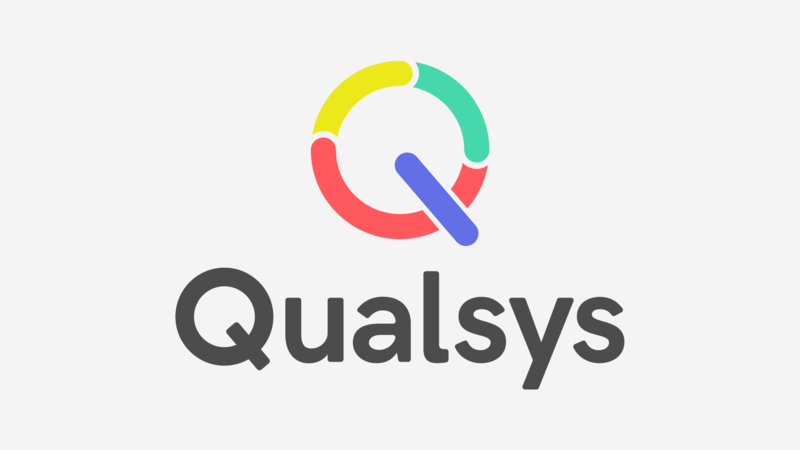 Perhaps the biggest strength of the software is the commitment from the Qualsys team to the success of their customers. Highly recommended. Deploy the software on your internal servers or have it cloud-hosted in an ISO 27001 data centre. With the cloud-hosted option, you can be confident that the system will be rapidly deployed with almost no need for any internal IT resources. This option is professionally managed and offers a back-up, restore and firewall. 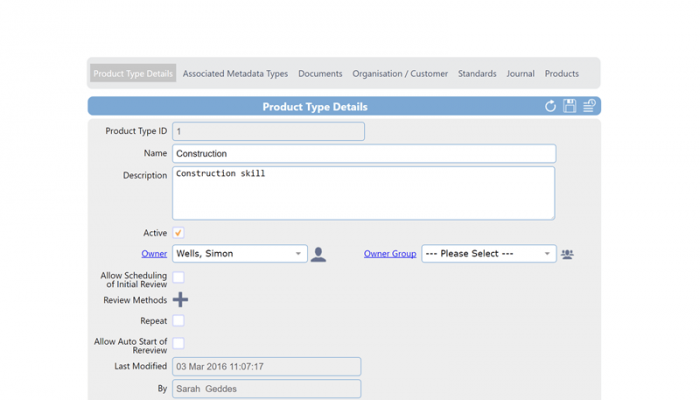 Our supplier management module can be used with any combination of our other modules. To buy, just tell us how many administrator licences you need. Administrators are those who will manage the configuration, settings and have overall responsibility for the system. Our supplier management module enables you to tailor fields, workflows and risk categories. Our service implementation managers will help you work to best practice if you need guidance in assessing your current approach. Our software has been deployed by global pharmaceutical businesses, NHS trusts and other health organisations. The solution has been validated as compliant with regulations such as GAMP 5, ISO 9001, ICH GCP E6 and FDA 21CFR Part 11, as well as electronic signature legislation like the EU Electronic Signatures Directive. Talk to one of our team today about your validation requirements. We have a very organised approach to implementing your system. During the first weeks of coming on board as a customer, you’ll receive a project plan, scoping workshop and dedicated support team to help you through every step of the process. Our software solutions have a flexible, advanced application programming interface (API) which means data can be exchanged both from our software and into it.  By integrating your solutions, you’re bringing all your data together. This helps you improve engagement, work more productively and efficiently, and automatically drive activity. Questions? Schedule a 15-minute discovery call. Ideas and insights to make good governance, risk and compliance a natural part of your business. Supplier management is undergoing a major transformation. The days of simply managing spend and negotiating the best deal are long gone: it's no longer sufficient or easy to use such outdated practices. Since the horsemeat scandal in 2013, where traces of horsemeat were found in products sold in a number of UK supermarkets, there has been a rise in the number of products recalled by 26%. Please find below the transcript from the ISO 9001:2015 Supplier Performance Management Webinar. You can download the entire webinar recording here.